The South Asian country’s leading media conglomerate will finance and distribute the feature debuts of six emerging local directors. Bangladesh’s budding filmmakers have received a further boost with one of the country’s leading corporations pledging to back projects from first-time directors. 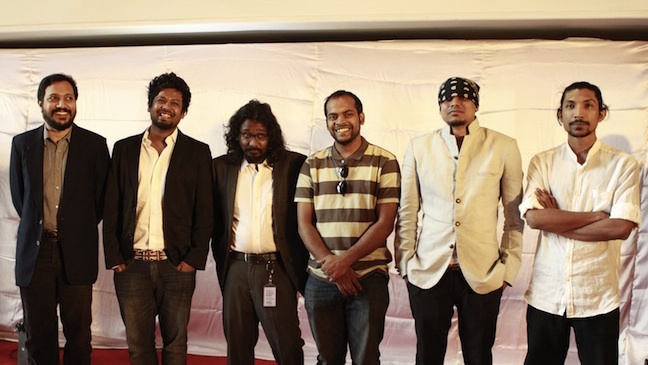 Launched on March 30 in the Bangladeshi capital of Dhaka, Impress Boutique Cinema will finance directorial debuts from six of the country’s upcoming directors, said director Mostofa Sarwar Farooki, whose own first film Third Person Singular Number was produced by Impress Group as well. Chosen by Farooki, the six projects are Amitabh Reza’s Proxy,Abu Shahed Emon’s Jalal’s Fathers, Adnan ad Razeev’s X,Golam Kibria’s Camphor, Akram Khan’s Who Are You andRobiul Alam Robi’s Hardcash. Jalal’s Fathers, a social drama exploring the psychological state of a child, will be the first one to begin production, Farooki added, with shooting slated to commence in May. The plan is for all six films to be completed by March 2014, he said. “When I was traveling to different festivals, I was dreaming of something like this,” said Farooki, whoseThird Person premiered at Rotterdam in 2009 and second film Television was the closing film at the Busan International Film Festival last October. “I felt compelled to tell the world that we have some exciting people in the pipeline. Then a few months back, I approached Faridur Reza Sagor and requested him to produce and finance this debut feature project,” he continued (Sagor is the managing director of Impress Group’s filmmaking arm, Impress Tele-film, and digital satellite channel Channel i, and the producer of Golam Rabbany Biplob’s On the Wings of Dream, which was screened at Toronto in 2007). Impress Group is one of the largest business conglomerates in Bangladesh, with business interests ranging from textiles and pharmaceuticals to media and entertainment. With young directors still locked out of the mainstream because of logistical challenges (such as high taxation and ramshackle post-production and exhibition systems) or financing limitations (audiences rarely venture beyond Bollywood imitations), they often now turn to privately-owned television platforms like Impress’ s Channel i to fund their small-budgeted, digitally-shot work. The Boutique Cinema project represents yet another sign of how the Bangladeshi media industry is waking up to a new wave of young directors coming through the ranks and gaining a foothold in the film festival circuit. More than a decade after the late Tareque Masud’s The Clay Bird won the Fipresci prize at the Directors’ Fortnight at Cannes, directors like Farooki and Ishtiaque Zico (whose short film 720 Degrees was selected for Venice in 2010) are shifting some of the attention usually focused solely on the mammoth cinematic juggernaut in neighboring India. Boosted by the growing stature he nurtured in the festival circuit, Farooki is now readying to shoot a new “urban psychological thriller” titled Camera, after shopping another project, Biscuit Race, at Goa’s Film Bazaar and the Dubai Film Market late last year.